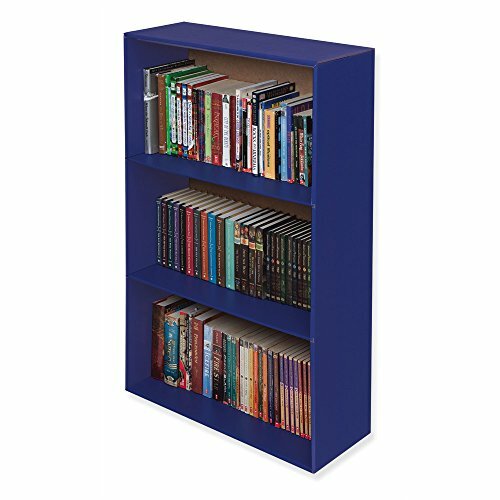 The Pacon Classroom Keepers Upright Bookcase, Blue (001332) makes it easy to organize and store your books. This sturdy corrugated bookcase is made of recycled material and is recyclable. The bookcase has 3 shelves that are each reinforced with a metal bar for extra strength. The Pacon Classroom Keepers Upright Bookcase is able to hold up to 100 lbs., so you can easily store all the books your classroom needs. The whole unit measures 38-5/8 inches high, 24-5/8 inches wide and 10-1/2 inches deep. Pacon Classroom Keepers keep you organized, allowing you to let your imagination shine! Pacon offers customers an extensive line of arts and crafts products, strengthening its ability to be a single-source supplier for educational aids, paper products and arts and crafts.